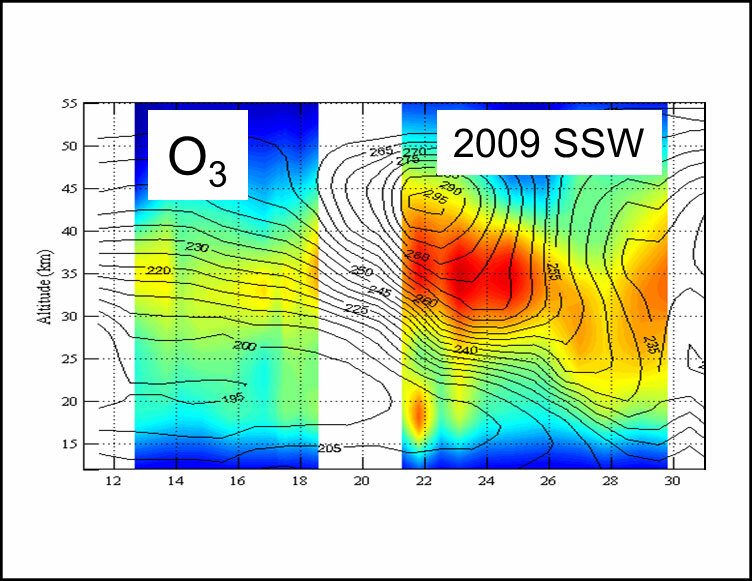 Since 2009 personnel of the Istituto Nazionale di Geofisica e Vulcanologia (INGV) carries out measurements of stratospheric profiles of O3, CO, HNO3 and tropospheric water vapor content during winter (Jan-Mar) by means of the GBMS. 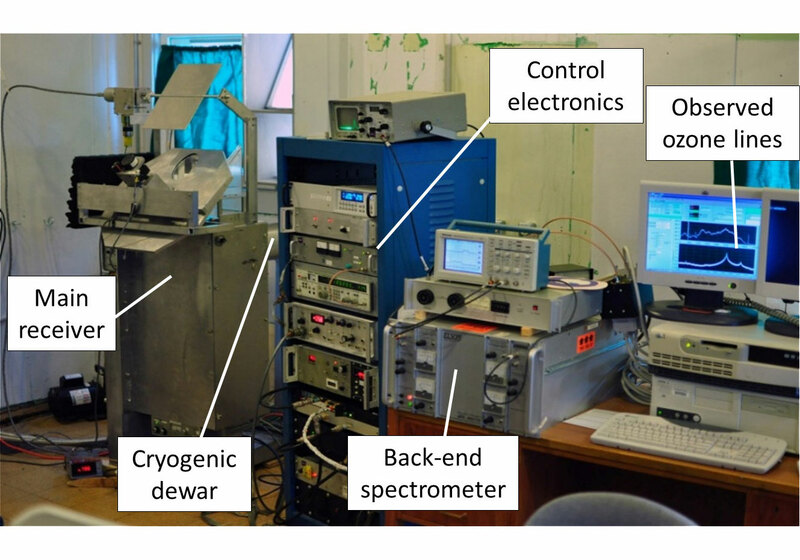 The spectrometer observes rotational emission lines between 230 and 280 GHz with a 600 MHz passband and 50 kHz of spectral resolution, allowing the retrieval of vertical profiles of trace gases from about 20 to 75 km of altitude using an optimal estimation method. 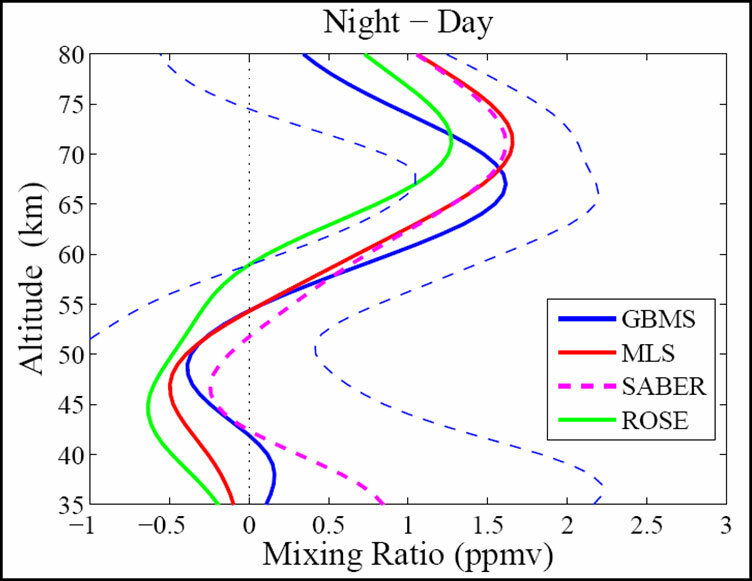 The tropospheric sky opacity is also obtained using the balanced-beam observing technique of the GBMS and column water vapor can therefore be accurately estimated. The GBMS was developed at the Stony Brook University (U.S.A.) in the 90’s and has been upgraded and maintained by INGV since 2002. It is part of the NDACC. Which scientific issues can be addressed using GBMS measurements? How do the stratospheric ozone depletion and the Polar vortex dynamics vary from year to year in the Arctic region? How is this variability going to change in the long-term, given the undergoing climate change? 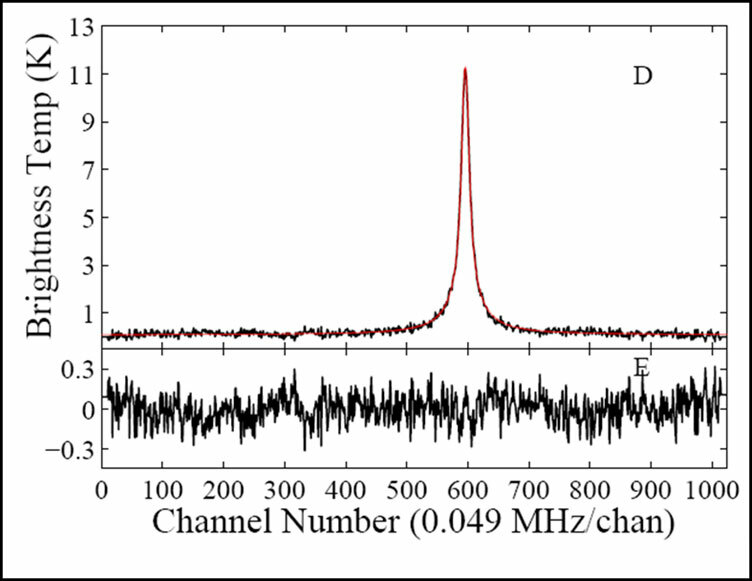 Example of the CO emission line observed by the GBMS at 230 GHz. 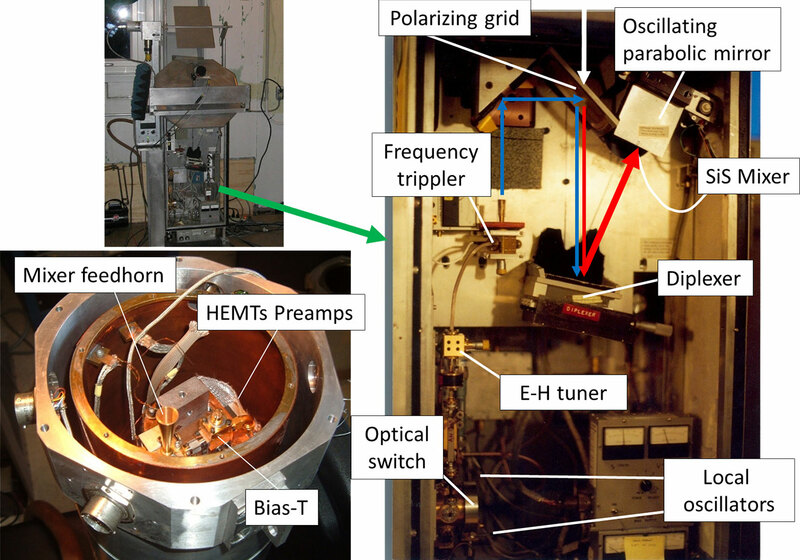 The upper panel shows the observed line and the lower panel the residual of fit-measurements.